书籍简介: For anyone trapped in an energy-zapping relationship with a co-worker, boss or subordinate, Crowley and Elster offer an exit strategy―a highly practical and easily implemented guide to making the situation workable. Looking at the workplace from every employee's perspective, Crowley, a Harvard-trained psychotherapist, and Elster, an entrepreneurial consultant, have created a book as valuable to readers on the top rungs of the corporate ladder as it is to those near the bottom. Readers in the throes of a work crisis can find a relevant case study to lead them to relief from any situation. Whether the problem's a charming and demanding boss, dealing with a saboteur or addressing one's own inclination to play the office martyr, the authors offer frameworks for breaking down the conflict and achieving détente. They even detail the inevitable verbal confrontation. Supervisors are provided suggestions for \\\\\\\\\\\\\\\\\\\\\\\\\\\\\\\\\\\\\\\\\\\\\\\\\\\\\\\\\\\\\\\\\\\\\\\\\\\\\\\\\\\\\\\\"parenting\\\\\\\\\\\\\\\\\\\\\\\\\\\\\\\\\\\\\\\\\\\\\\\\\\\\\\\\\\\\\\\\\\\\\\\\\\\\\\\\\\\\\\\\" employees who chronically underachieve or disappoint to help them live up to expectation, or at least their job descriptions. 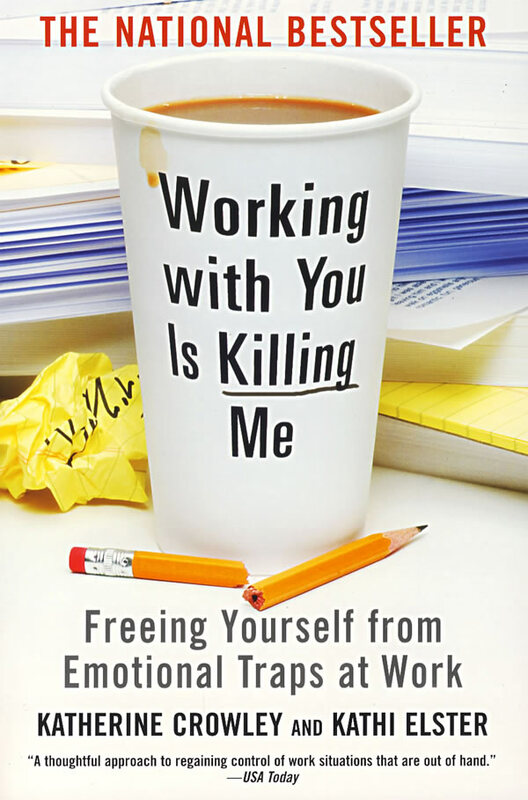 This empowering book delivers a sense of control over nasty workplace situations. It may also offer the answer to high job turnover. Harvard-trained psychotherapist KATHERINE CROWLEY and nationally recognized business strategist KATHI ELSTER have developed a method for dealing with difficult people and challenging conditions at work. Published authors, college educators, public speakers, and veteran consultants, Katherine and Kathi are seasoned guides in the area of professional fulfillment through self-awareness and self-management. Their successful company, K Squared Enterprises, is dedicated to helping individuals and companies accomplish their business objectives while navigating the psychological challenges of working with others. Since 1989, they've helped hundreds of companies by training thousands of individuals in their time-tested methodology.